County Namesake and Colorado Governor John Routt in 1874. YOU SEE THE NAME EVERYWHERE. “The postal service needed a strong man, and one used to roughing it, to set out on snowshoes … and travel all day bearing a heavy mail sack, with perhaps a fierce storm raging at the time ...”John L. Routt, the charismatic first state governor of Colorado, changed all that. Routt’s arrival in Colorado Territory was the result of his friendship with General Ulysses S. Grant. Routt procured precious supplies during the Civil War by entering enemy territory with wagons and mules at night. He proved heroic and resourceful throughout the war, and Grant never forgot Routt’s dependability. Governor Routt settled into his neoffice, lived up to the compliments, and began work to secure statehood. Brusque in manner but kind-hearted, he told state workers, “Either fish, cut bait, or go ashore,” but then dismissed them early on hot days for fishing or swimming in the Platte River. BY 1876, a constitution was created and Colorado Territory became the Centennial State. Politicians scrambled for the honor of being the state’s first governor. By this time, Routt had supporters who appreciated his honesty and direct approach, and overlooked his cursing. When newspaper cartoons lampooned him, he laughed heartily saying, “Ain’t it too d#$% funny for any use!” Who could resist such a character? Routt won the election. 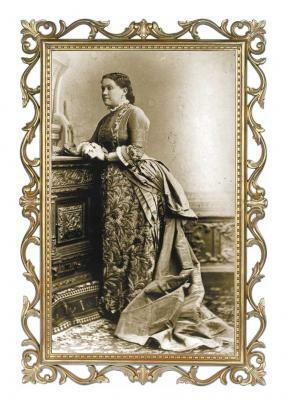 A silver strike in Leadville earned Routt and his wife, Eliza Pickrell, newfound riches. Colorado flourished. Mining districts great alarming rates. Boom-town resources stretched beyond limits. When Routt traveled to Leadville, he joined the excitement and bought a mine. When he could spare time, he boarded the train to Leadville, with trouser legs tucked into his boots, ready to work his Morning Star Mine. 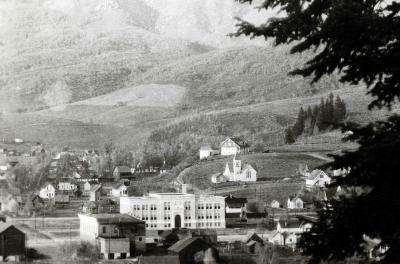 ON JANUARY 29, 1877, the Colorado legislature approved the creation of Routt County, named for Governor Routt. Land from Grand County became Routt County, and later, Moffat County. By April,Governor Routt appointed the first officials to serve there until the general election in November 1878.One of these early county pioneers was Steamboat Springs' founding father, James H. Crawford, who was appointed county judge. John Routt maintained a keen interest in the advancement and welfare of the county bearing his name. If a visitor from Routt County wanted to meet with him, he cleared his schedule to see him right away. Routt then enthusiastically asked questions about resources, mining, development and news of the past, present and future of his namesake county. Under these circumstances, Judge Crawford mentioned that as yet no mail delivery had been established to Steamboat. Without hesitation, the governor contacted the postal department and promised a neroute would be implemented immediately. When Crawford returned home a few days later, he encountered a stranger. 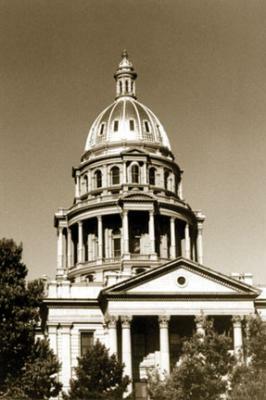 The state capitol building where Routt served as the state's first leader. Photo by Joyce Lohbe. According to the Steamboat Pilot, "On the Morrison Creek trail, he saa horseback rider across the creek making his way downstream, but evidently unfamiliar with the country. He crossed over to the rider and found it to be Mann Redmond from Middle Park, having on his saddle a mail sack and carrying keys and other paraphernalia necessary for the establishment of a post office. In this informal way a post office was establishedat the struggling settlement of Steamboat Springs." The mailman had arrived. Springs' founding father, James H. Crawford, who was appointed county judge. ROUTTS PUBLIC SERVICE in Colorado continued for a quarter of a century, into the 1900s. He was elected to a third term as governor in 1891 and served 12 years on the Board of Capitol Managers, overseeing construction of the state's capitol building. He also served as mayor of Denver, raised one of the largest cattle herds in the state, and never gave up on his Morning Star Mine. As he put it, "A miner will never quit until he has put in 'a last shot' and I followed that rule." Persistence paid off with a silver strike in 1879 that made the Routts wealthy. When he sold the mine a year later, he bought a house and a nebuggy, and gave the rest to his wife for safekeeping.